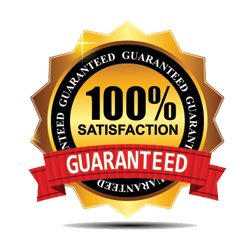 We Guarantee That You’ll Be 100% Satisfied With All Our Work! Expect total satisfaction with our products, IT Consulting, and managed services. You can entrust our comprehensive IT management services for a successful hassle free outcome. We Guarantee Immediate Response. We answer our support line LIVE and guarantee to have an engineer working on resolving a critical problem within 15 minutes. Most other IT firms DON’T guarantee response times in writing and take an average of 4-6 hours to respond. We Guarantee Proactive IT Support. Instead of constantly putting out IT fires, the experts at JR-Tech will proactively monitor and maintain your network and technology. That means we can prevent costly downtime and solve computer problems that could potentially harm your business – before you ever even knew they existed. We Guarantee Repairs in a Flash. Your computer network and your time are too important to wait around for computer repair. Using advanced technology we remotely repair your systems securely and efficiently. We also have engineers ready to dispatch in a moment’s notice for emergencies. We Guarantee All Projects To Be Completed On Time and Within Budget. As your trusted partner, we’ll perform all IT and network services and repairs and we won’t surprise you with unexpected charges. We Guarantee We Will Provide You With the Most Cost-Effective Solution to Your problem. We understand the importance of keeping costs to a minimum. We never charge clients for expensive upgrades, hardware, software and solutions that aren’t necessary. We Guarantee Seasoned, Qualified, Professional IT Engineers with years of real world experience. We have better trained and more experienced technicians. We Guarantee Predictable Budgeting. We provide fixed-rate IT support that removes budget surprises. This way you can focus on your business instead of your IT costs. We Guarantee the Help You Need to Solve Your Business Problems. We provide IT business solutions to business problems. We don’t try to sell you the latest techno gizmo – instead – we listen to your business problem and offer several strategies to resolve the ROOT of the problem. We Guarantee to Speak YOUR Language. Your computer support and maintenance questions will be answered clearly. You will not be made to feel uncomfortable by our team of IT support experts with unfamiliar technical jargon. Our engineers are balanced with the interpersonal skills required to communicate at all business levels. We guarantee you’ll love working with our engineers. We Guarantee Security. We build all of our solutions around a platform of security best practices. These are not optional, but integrated into how we work. When we engage a new client, the first thing we do is to bring their security up to our standards. We find time and time again when starting with new clients that security is almost always an afterthought, is overlooked, or just simply ignored. This puts you and your business at enormous risk. Our solutions are built on a solid platform of multi-layered security products. Backups and disaster recover are also a priority. We log, monitor, and report on your security status 24/7.